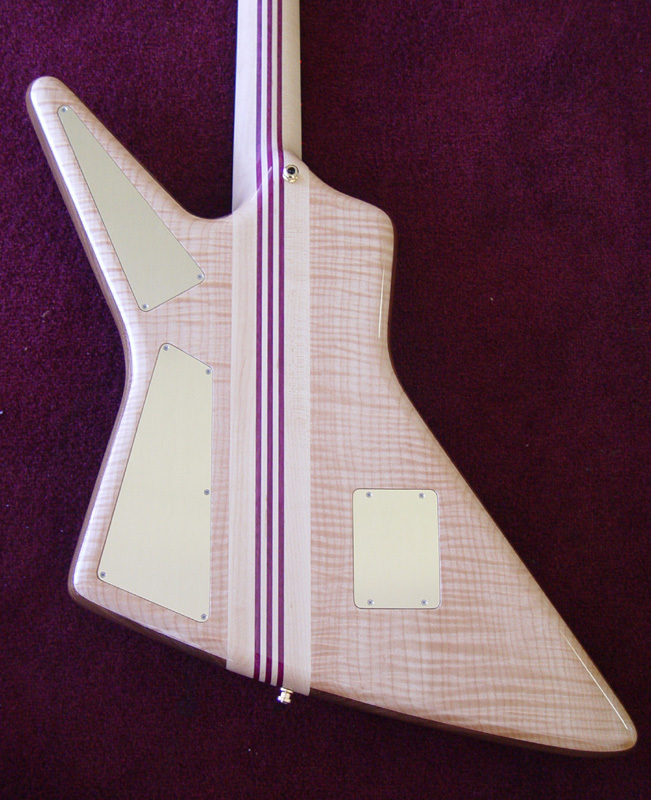 The Spyder basses are modelled after some of the basses we made for John Entwistle. 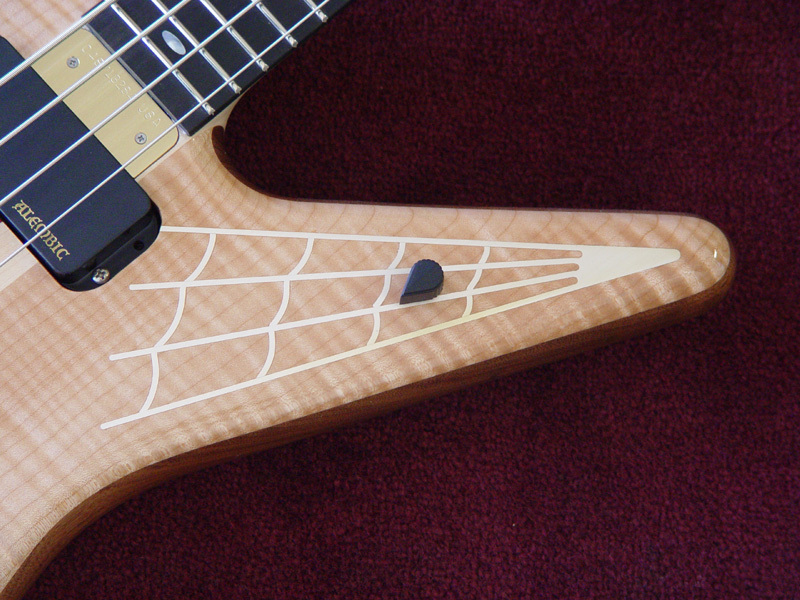 They get their name from the inlays on the front of the body. The inlays are thick, solid sterling silver, and though they do age slightly over time with an amber tint, they look maaaahvelous! And the tone? Well, suffice it to say everything you expect from Alembic is there: lots of sustain with clean, clear tone. But then there's more: this particular combination of woods makes for an extremely responsive bass with a very fast attack. Surprisingly, the Spyder shape is one of the best balancing, though you'd never guess it by looking at it. 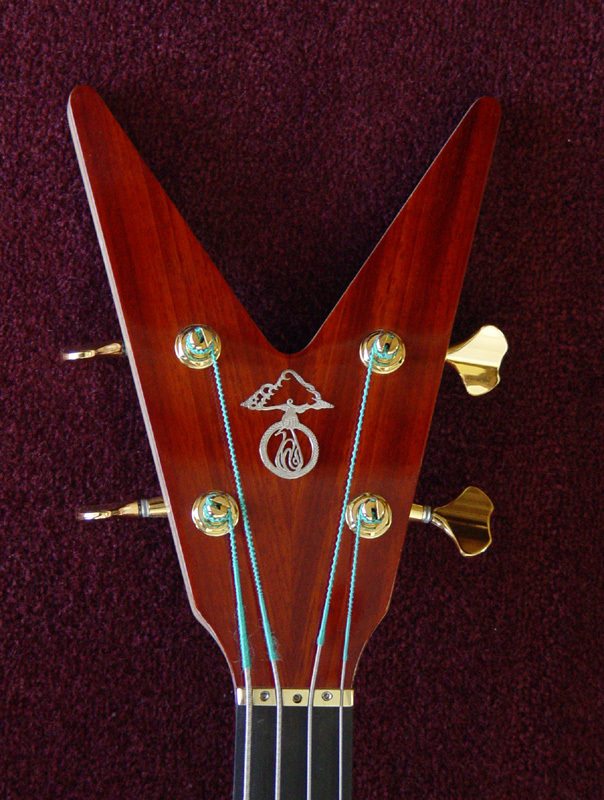 The large upper body half keeps the neck at a comfortable 2:00 playing position without supporting the neck with your fretting hand. 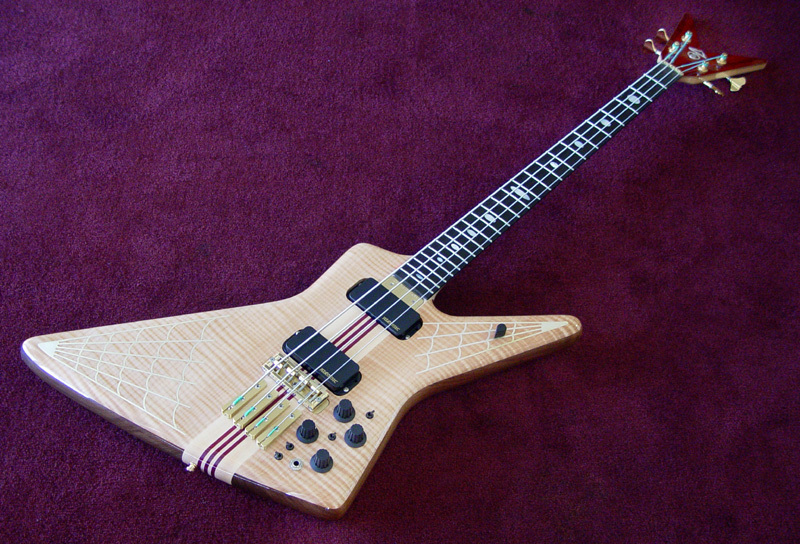 The Spyder 4-string is limited to 50 pieces. Less than half are still available.